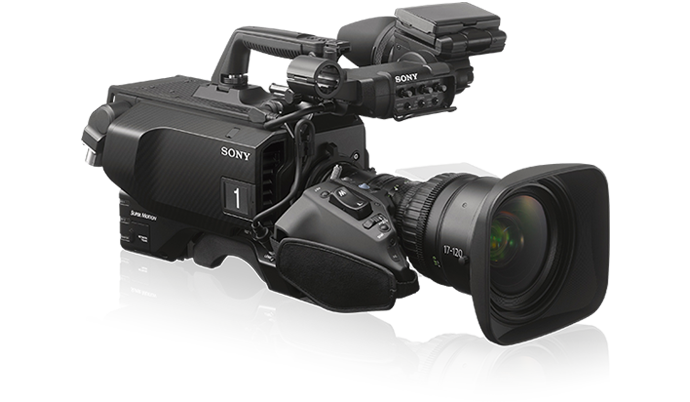 The Sony 4K system camera line-up is an ideal solution to the rigorous demands of live sports production. A de facto choice of broadcasters worldwide, the Emmy Award winning HDC-4300 is joined by the HDC-4800 that captures dynamic 4K HDR Ultra Slo Mo pictures. They’re complemented by the HDC-P43 POV camera that’s ideal for installation on cranes and aerial camera systems. Originally produced in 4K HDR (High Dynamic Range), this clip has been down-converted to HD SDR. From speeding snowmobiles to the explosive power and pace of top-class rugby. Stay ahead of the game with smoother, more satisfying slo-mo. 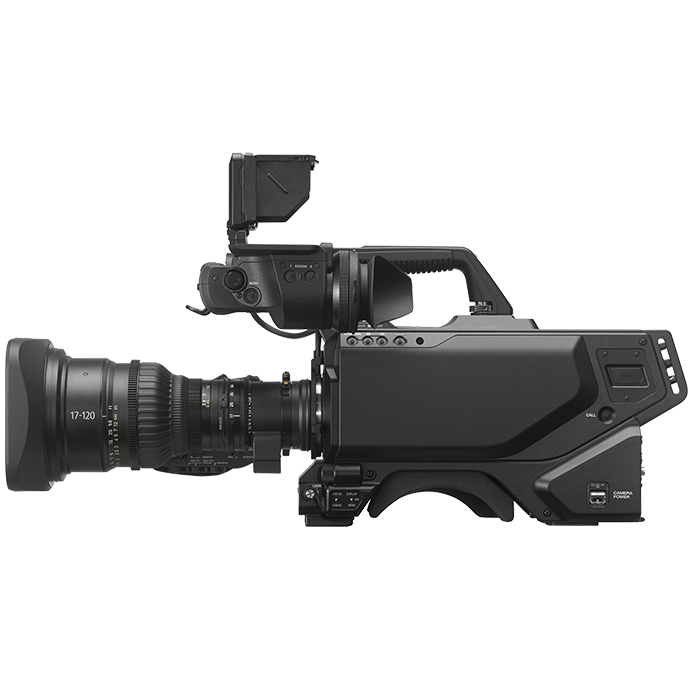 Our exclusive video showcases the HDC-4800 in action, capturing thrilling sports footage in flawless 4K UHD at 400P for silk-smooth, full-resolution 8x super slow motion replay plus Full HD cutout. See the HDC-4800 4K/HD Ultra High Frame Rate camera system plus dedicated 4K Baseband Processor BPU-4800 capturing thrilling sports action. Slo-mo replay at 8x in 4K or 16x in Full HD brings the dynamic excitement of live sports to life in vivid detail. 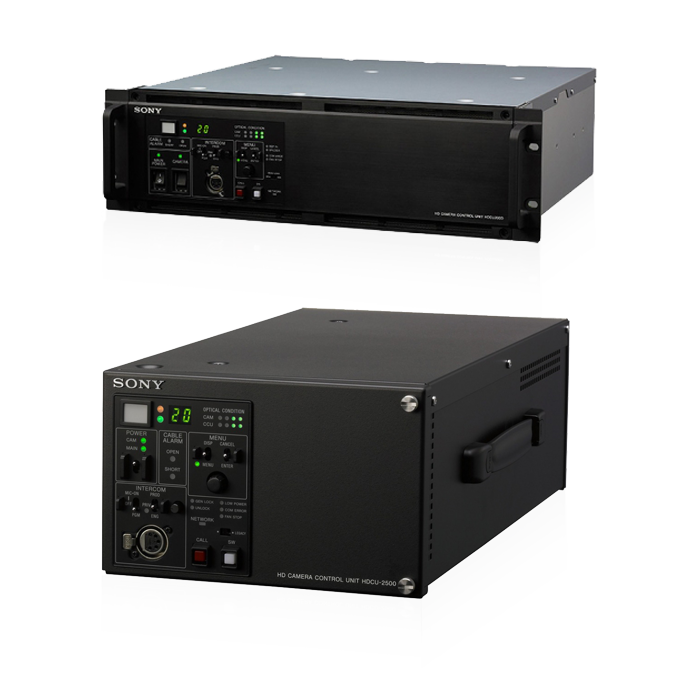 The BPU-4800 handles recording and playback of all your UHFR content, with no need for a separate server dedicated for ultra slo-mo, giving up to four hours 4K UHFR storage and – with the appropriate SZC-4008 and SZC-2016 software options from Sony – BPU-4800 will allow the HDC-4800 camera system to achieve an amazing 4K x8, and HD x16, capturing capability. With technical support from broadcast services specialist provider NEP, CBS Sports successfully trial the HDC-4800 to capture immersive 4K UHFR (8x) images at the Big Game. HDCU-2000 is a full 19″ rack size camera control base station for the 3G Double-Speed Multi Format HDC-2000 Series cameras. HDCU-2500 is a half 19″ rack size camera control base station for the 3G Double-Speed Multi Format HDC-2000 Series cameras. 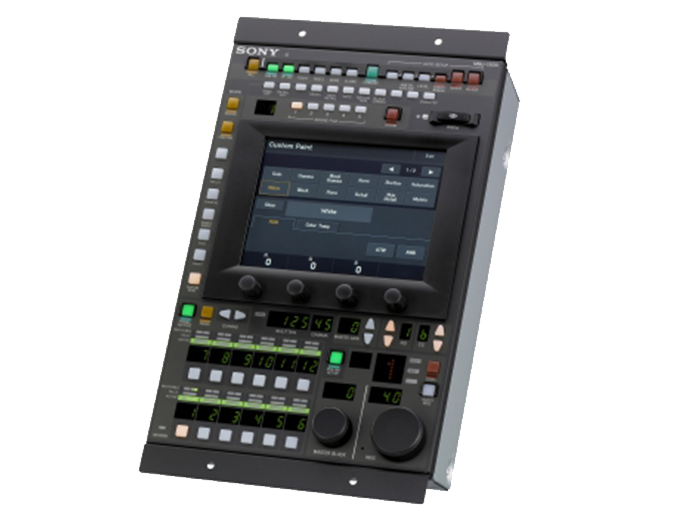 Enabling more creative capabilities for studio, outside broadcast and sports productions, it’s equipped as standard with a wide range of interfaces including 3G-SDI/HD-SDI/SD-SDI outputs, 3G-SDI/HD-SDI/SD-SDI/analogue composite return inputs, and a down-converted analogue composite monitor output. In addition, a variety of output interfaces are offered via optional boards, which can be installed in four free slots on the HDCU-2000. A built-in LAN interface allows the camera to be controlled over a network. 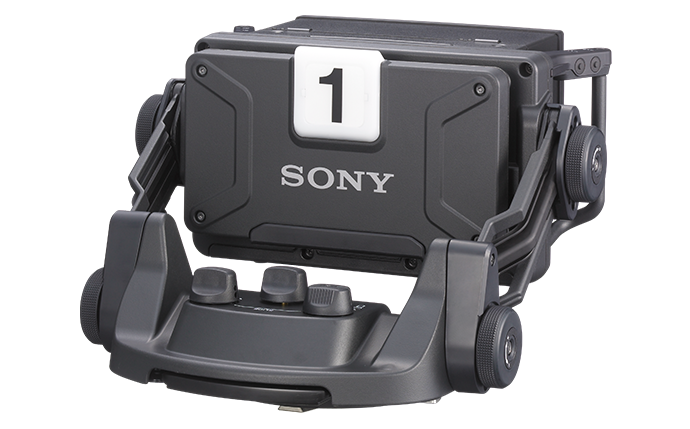 The PWS-100PR1 offers full control of 4K and HD workflows to produce amazing live action and highlights content. A range of operational modes includes split-screen, playlist, clip management and cut-out mode. PWA-PRC1 production control software and a video input card are pre-installed, and an optional touch-screen monitor can be added. The PWS-100MG1 Media Gateway Workstation controls 4K and HD file transfers between the BPU-4800 Baseband Processor Unit and external media. It can be used for browsing, archiving files into external media. Workstation, media application software and content viewer applications are all included. 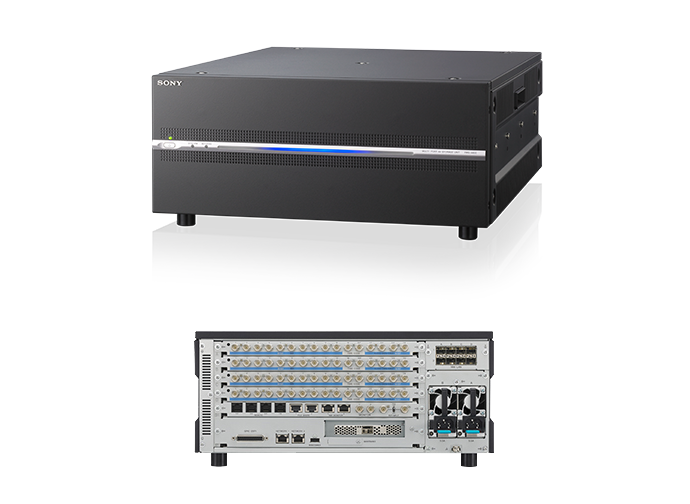 A cornerstone of Sony’s next-generation 4K/HD IP Live production environment, this live server incorporates all the functions of the PWS-4500, including XAVC (both 4K and HD) together with flexible I/O configuration and HFR recording capability. Also included are IP interfaces, a file sharing function (Share Play) and redundant power supply. 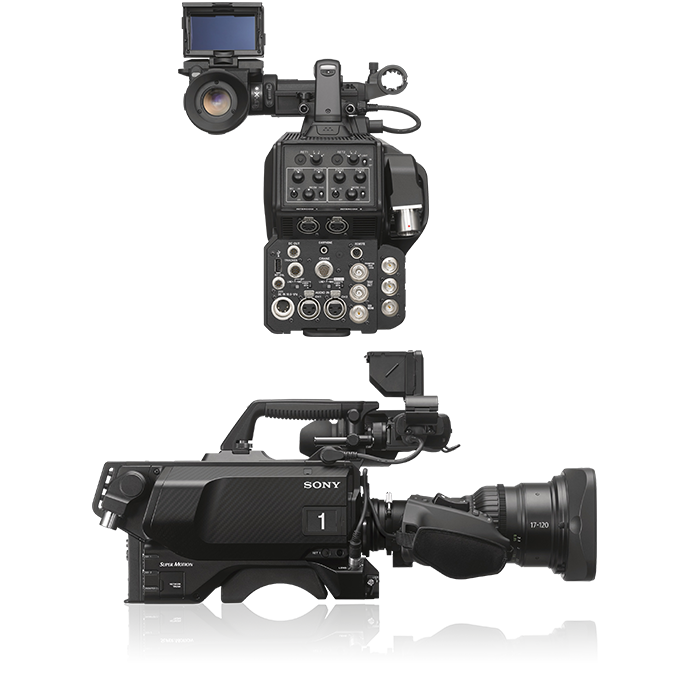 Flexible configuration allows the PWS-4500 to be used as a highly cost-effective HD production recorder (with fewer I/Os), or as a fully-featured slow replay server supporting both 4K and HD formats, with both SDI and IP interfaces. This 7.4-inch* viewfinder uses Organic Light Emitting Diode (OLED) display technology to deliver strikingly clear, high contrast images. The OLED panels help prevent light emission when reproducing dark shades, resulting in very deep blacks and a contrast ratio of more than 1,000,000:1. Innovative backlight-free technology also delivers exceptional colour expression and detail with excellent energy efficiency. Operators can accurately see contrast and colour levels when framing and focusing a shot, while the wide viewing angle and extremely fast response time are particularly useful for applications such as sports coverage. 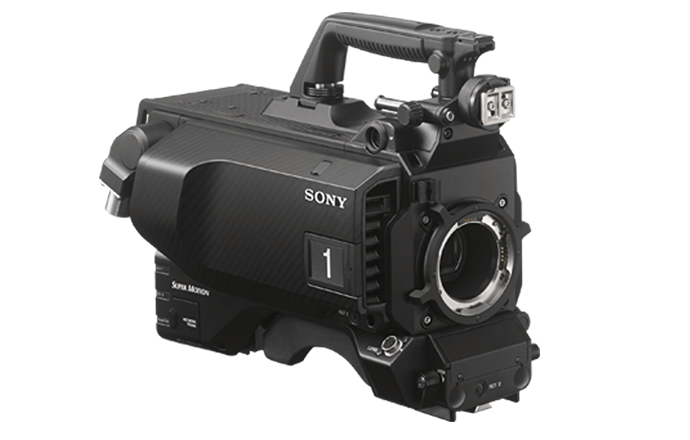 Compatible with a wide variety of Sony motion picture cameras, 4K/HD system cameras and shoulder-type HD camcorders, the HDVF-EL30 viewfinder features Organic Light Emitting Diode (OLED) display technology. This enables quick pixel response for tracking and focusing fast- moving objects, together with outstanding contrast and a wide dynamic range. 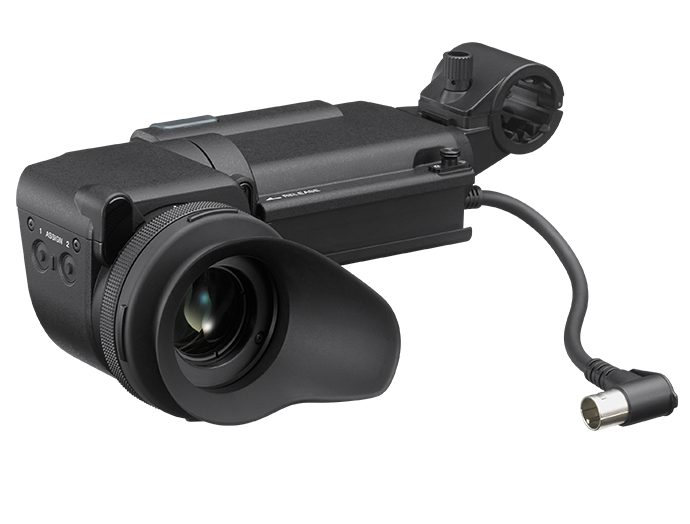 The specially developed optical loupe allows a high eye-point, enabling operators to see a wider area of the picture if they stand back from the eye piece. The HDVF-EL30 has an additional 3.5-inch*, quarter HD (960 x 540) sub-LCD display allows direct monitoring over a longer distance. The versatile RCP-1500 remote control panel for HDC system cameras includes an LCD touchpanel and user friendly buttons, plus a built-in joystick for iris and master black adjustment. The RCP-1501 offers similar functionality, but with iris and master black adjustment via operating knobs. The RCP-1530 features joystick control in a slimmer design, allowing up to five panels to be mounted in a standard 19″ rack. 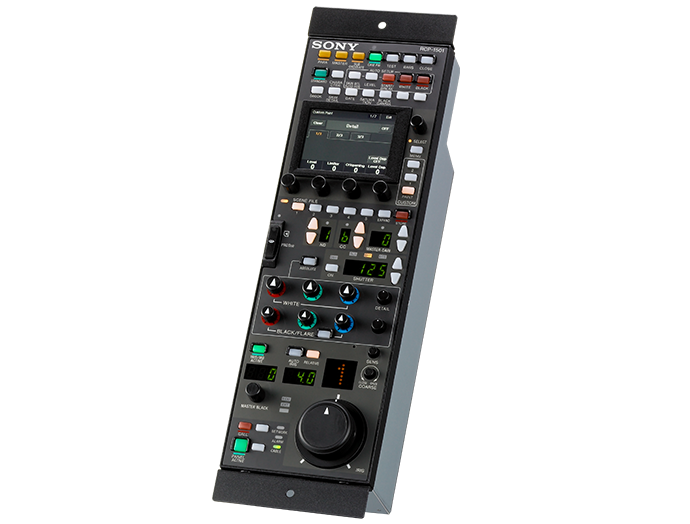 The MSU-1000 master setup unit is a horizontally oriented control panel and the MSU-1500 master setup unit is a compact, vertically-oriented control panel for camera configuration and maintenance. They can control multiple camera systems, using either the CNU-700 Camera Command Network Unit, or via a LAN, allowing up to 96 cameras to be controlled. HDLA-1500, HDLA-1505, and HDLA-1507 adaptors do not require any cable wiring. Utilizing an unprecedented interlocking mechanism, this solution passes the power, video, and control signals on directly from the portable camera to the HDLA Series adaptor. * The PL-B4 Lens mount adapter is required to be attached to the HDC-4800.